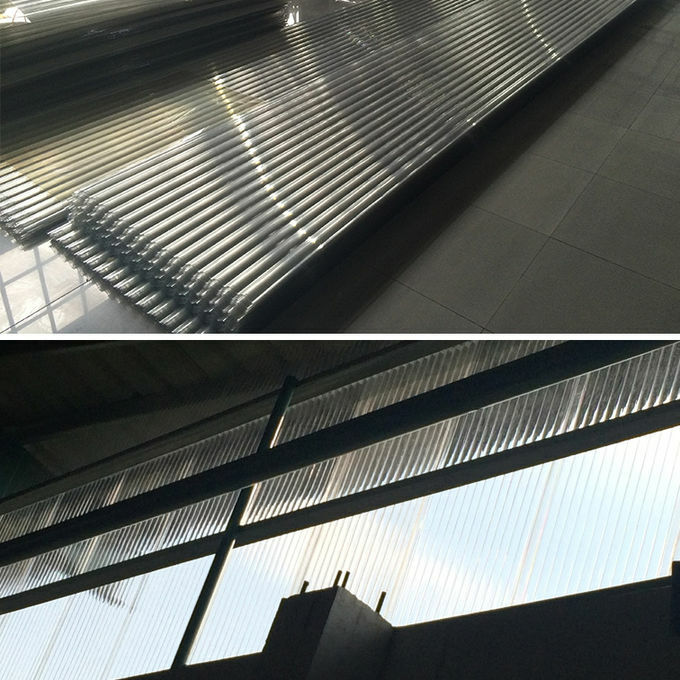 PET corrugated roofing sheet is instead of tranditional PVC corrugated roofing sheet. 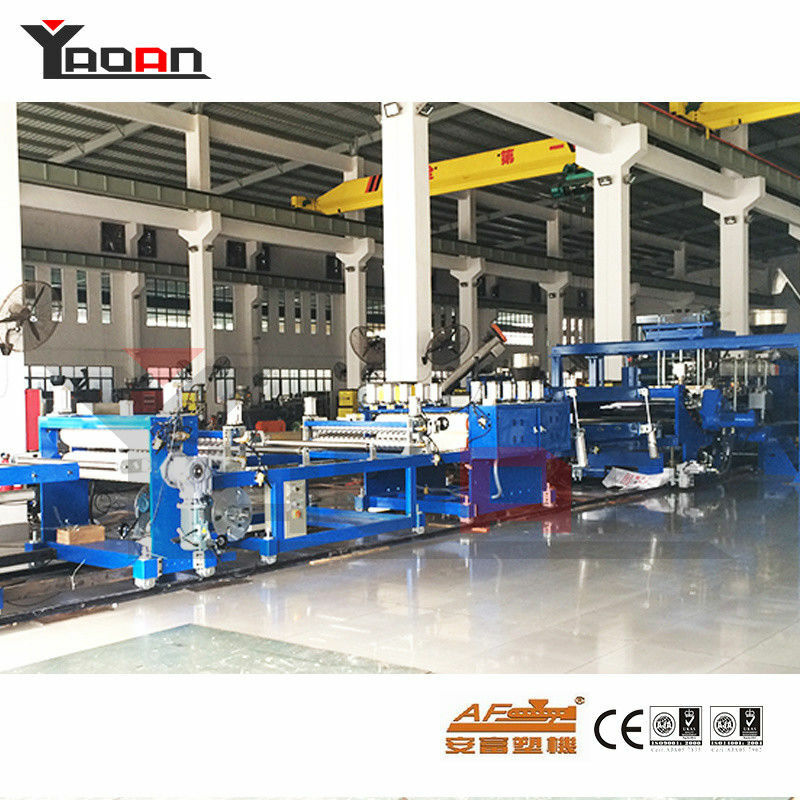 Machine is parallel twin screw extruder, raw material is PET bottle flakes, no need crystallization system. It has more features than PVC. 1.High transparent, good for sun light. Right now many foreign countries have a lot of waste PET bottles, people can not find a good way to recycle them. 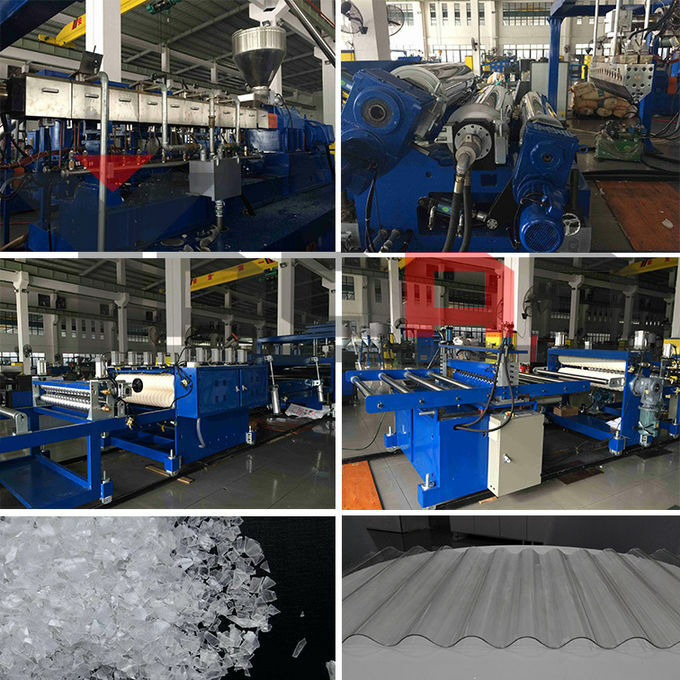 Based on many years PET sheet extrusion and PP PC PVC corrugated roofing sheet extrusion experience, we made PET corrugated roofing sheet extrusion machine successfully. Our machine feed with PET bottle flakes which is very cheap in the market. This is a good project for customer. plastic film + stretch film + wooden case + drying agent. 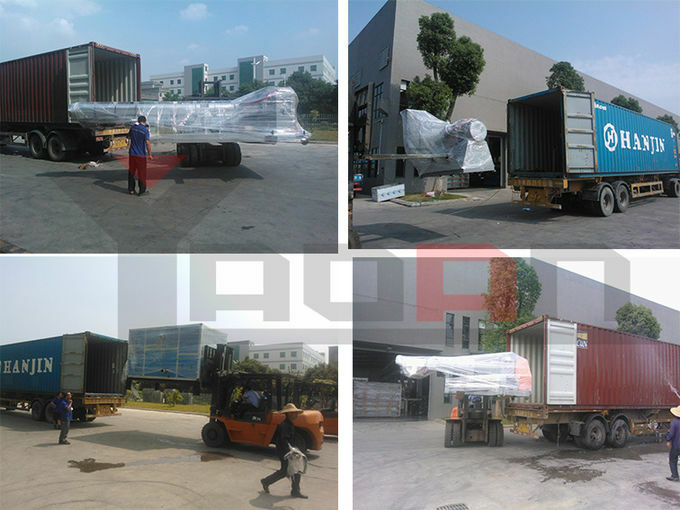 We place and fix the machines well into container and check carefully before closing the container so as to ensure everything is ok for the shipment. (Use steel wire to fix machine and drying agent).